While this post is part of a sponsored DIME Media and General Mills campaign, the views expressed are my own. For Latino families the table is where we spend time with loved ones, and celebrate cherished family traditions while creating new ones. Determining what to serve, and how to serve it is important for busy families, and the moms and dads who are always searching for ways to make these precious gatherings even more special. For this Latino Foodie, fall meals mean two things: baking and pumpkins, and I’m happiest when I can do both at the same time! 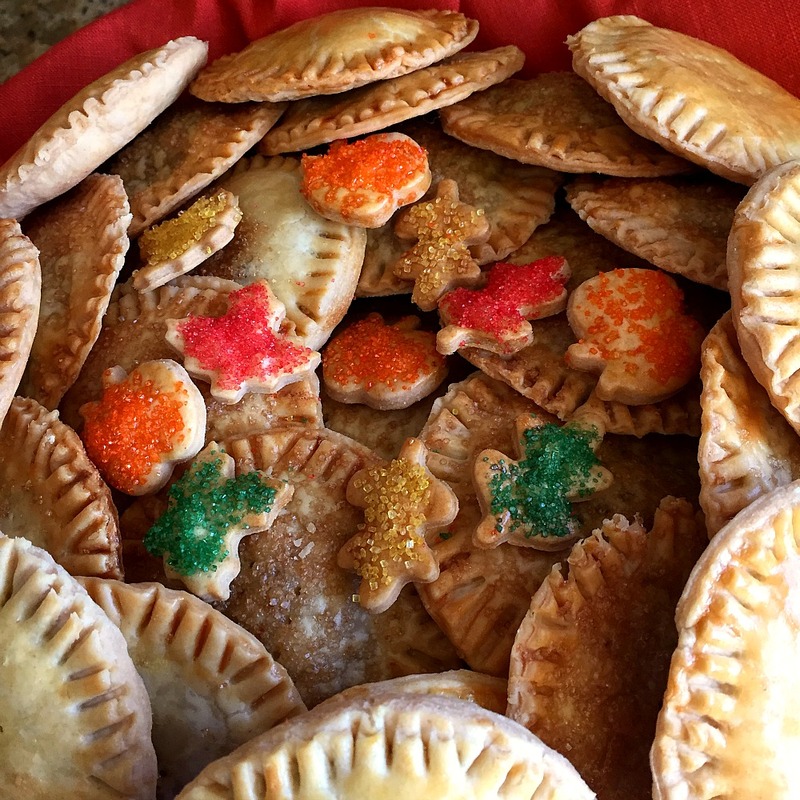 Beyond pumpkin pies (although I love those too) I love baking pumpkin bread, cookies, muffins and even cheesecakes, but my roots yearn for Pumpkin and Guava Empanadas, or Empanadas de Calabaza y Guayaba. With the recent re-launch of the QueRicaVida.com website, I had my FIRST opportunity to bake some of these little fall “gems” for a holiday potluck with local Latin@ bloggers and YouTube stars. The re-launched website features enhanced content and a new layout and design. The new platform provides a richer and more diverse food experience to the hyper-connected Latina Mom in the U.S. looking for recipes and quick and easy meal ideas that celebrate our cultural uniqueness. 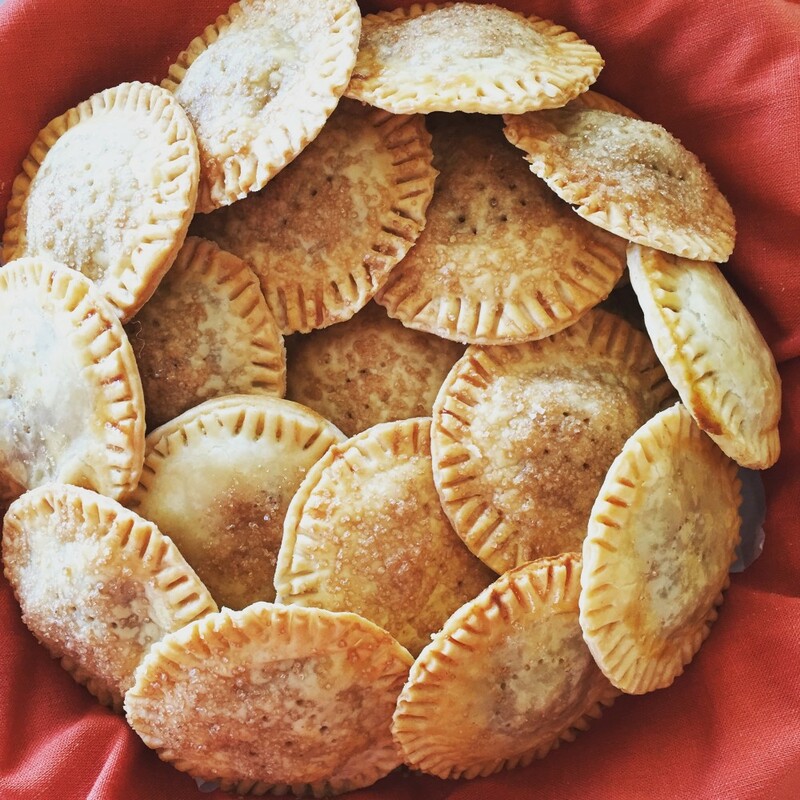 I found the recipe for these Pumpkin & Guava Empanadas on the website, but I’ll post it down below as well. It requires a few autumn-staple ingredients like pumpkin puree, guava paste and Pillsbury™ Refrigerated Pie Crust. The recipe was contributed by Nicole of Presley’s Pantry, a superstar in the food blogging scene and a good friend of mine. The pumpkin puree is lightly sweetened with some warm spices and touch of sweetened condensed milk, but the empanadas pack a sweet punch from the guava paste. You can find the paste in most Latino and Asian markets, wrapped in plastic or in a tin. The sharp sweetness of the paste pairs wonderfully well with the mellow pumpkin. 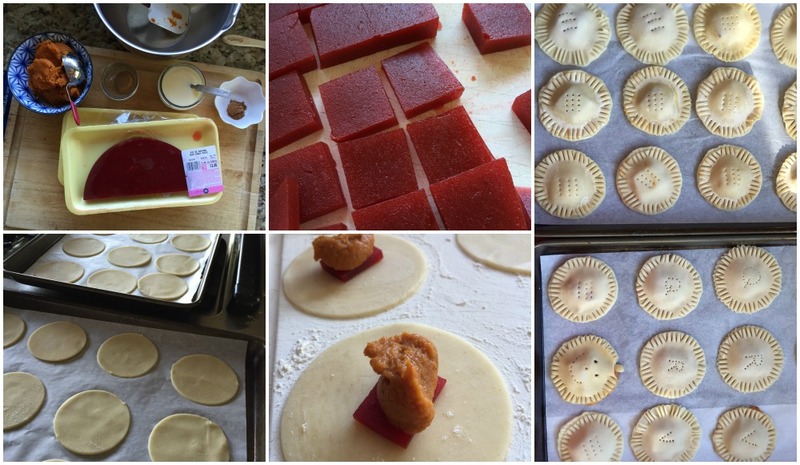 I was reminded of my mom’s fondness for guava paste while making these empanadas because she likes to cut strips of the paste and allows them to dry out. Then she nibbles bits of the dried guava paste like candy. I love those food memories. 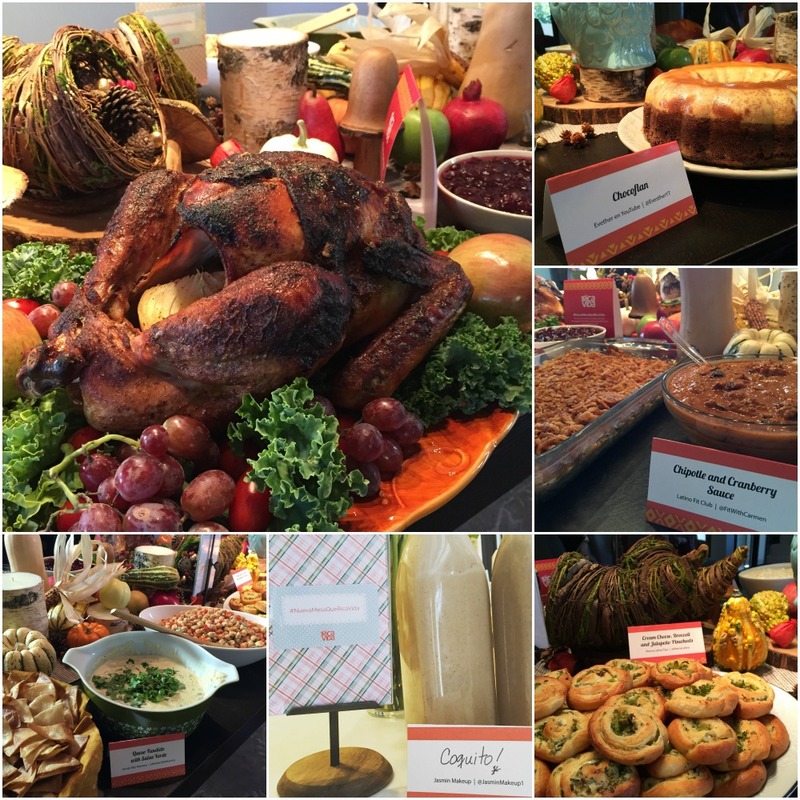 The re-launch luncheon was a Thanksgiving themed bash. We had a turkey of course (with jalapenos stuffed under the skin!) 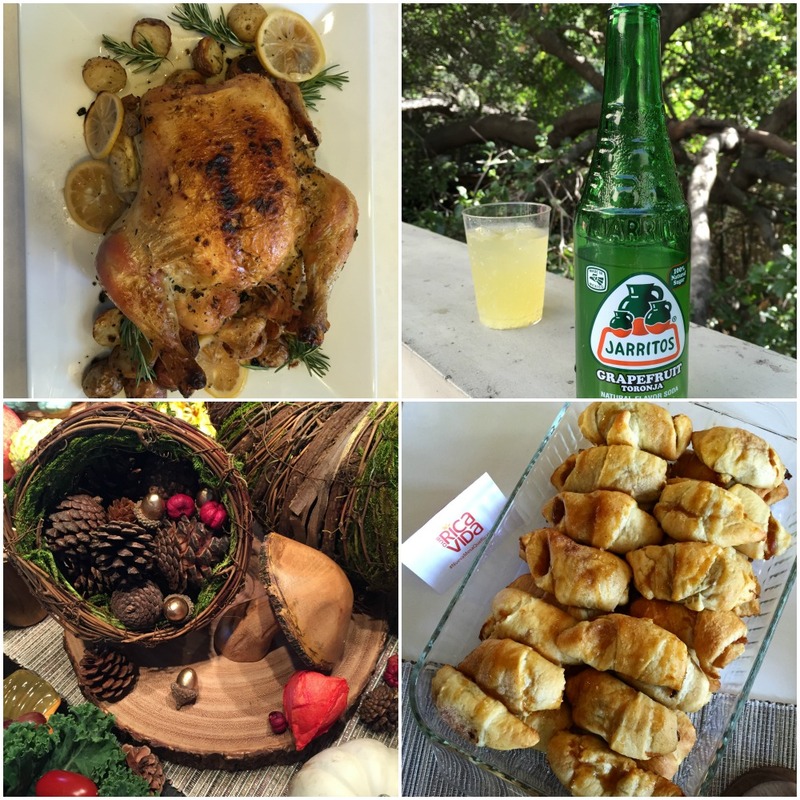 a glazed ham, and a juicy chicken over roasted chicken from Cristina of Una Colombiana en California. 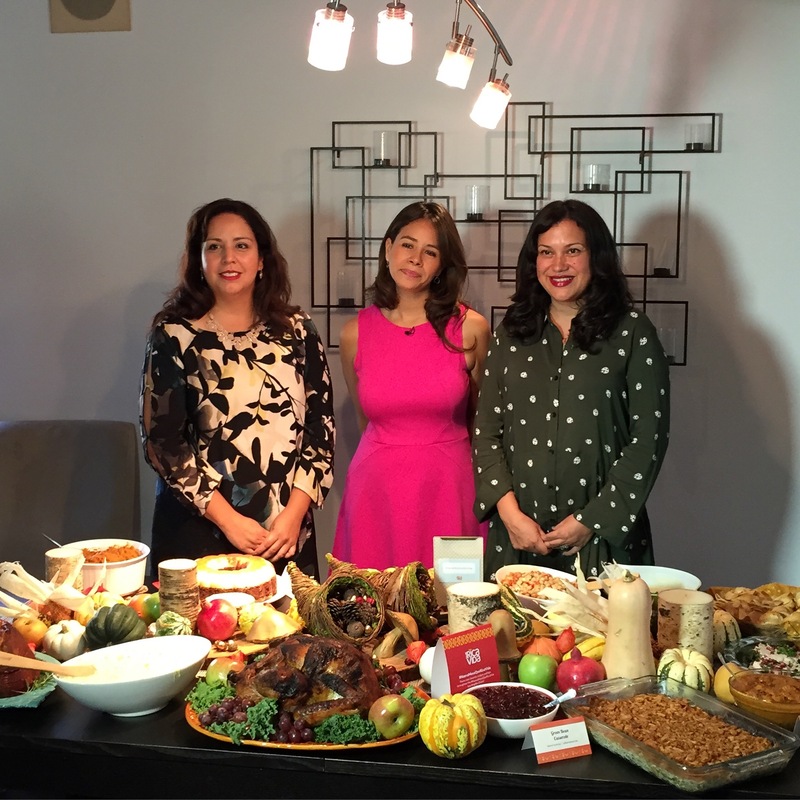 And we had a bounty of side dishes like a Queso Fundido with Salsa Verde from Cynthia of Kinda Silly Mommy, a Chocoflan from YouTuber Evesther, Cream Cheese, Broccoli and Jalapeno Pinwheels from Silvia of Mama Latina Tips and Chipotle Cranberry Sauce from Carmen of Latino Fit Club. We also had some Coquito from YouTuber JasmieMakeup1. And a big shout out to Jarritos for providing some delicious Latino pop for our Thanksgiving meal. We had all this and more, like some great tips for a stress-free holiday. My favorite tip: make it a pot luck! This way you can distribute the workload, gain oven space and everybody feels like they are participating in the meal. Nicole also brought up a good point on the size of your turkey: most big families want a big turkey, but they can be hard to brine and cook, and who wants dry turkey? Not me. Smaller turkeys are easier to thaw, take less time to cook and you can stop serving dry turkey…we’ve all been there. The redesigned site was built mobile-first to enable seamless content discovery and sharing for users across the most relevant devices. 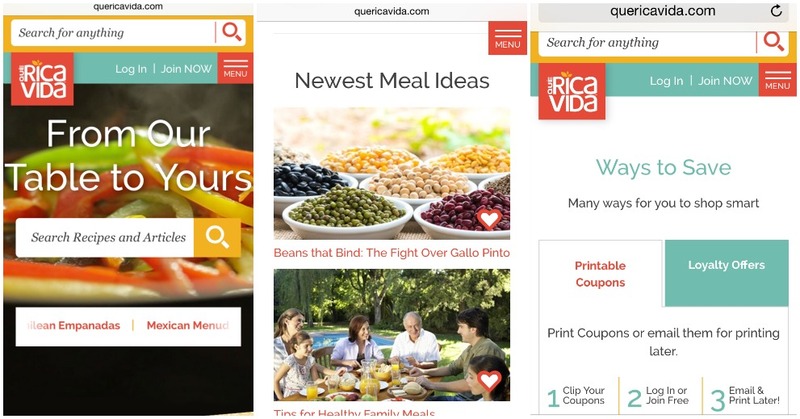 So next time you’re shopping for dinner ideas, QueRicaVida.com is a great resource to have on your phone or mobile device. In addition to being a one-stop shop for Latino recipes, Qué Rica Vida’s site will debut some value-driving features for community members…meaning 3-Ways-To-Save. Along with print-at-home coupons, members now have access to in-store deal locators and grocery card-linked offers. Money, money, money! This holiday season, visit QueRicaVida.com, ditch the dry fowl, have some great sides and make new memories with your loved ones. I’m looking forward to a robust, active and stress-free holiday season. Won’t you join me? What are some of your favorite holiday dishes? I crave desserts like freshly baked empanadas and pan de muerto…biscotti and gingerbread cookies too! 2. Cut guava paste into 1-inch squares that are 1/4 inch thick. 3. In a bowl, mix the pumpkin puree, brown sugar, sweetened condensed milk and pumpkin pie spice. Set aside. 4. In a small bowl, whisk together egg and water. Set egg wash to the side. 5. Unroll both pie crusts from the box and cut as many circles as possible with a 3 1/2 inch round cookie cutter. Put the circles on a cookie sheet lined with a baking mat. Gather the scraps of dough, roll them out with a rolling pin and continue to cut out circles. Make sure you put half of the circles on the cookie sheet. 6. Place a piece of guava paste in the center of the circles that is on the baking sheet. Top each piece of guava paste with a teaspoon of pumpkin mixture. 7. Top each circle with another of the remaining circles. Using your finger, go around the edges of each empanada, pressing down to make sure it’s closed. 8. Then, with a fork, go around the entire edge of each empanada pressing firming with the tines. 9. Poke the top of each empanada with the fork to create four little vent holes. 10. Dip a pastry brush into the egg wash and brush each empanada to coat. 12. Remove from oven and allow cooling for 15 minutes. Just for fun…here is the Periscope I did while making these little gems.